Install these inserts onto a compatible threading tool holder to form a cutting edge. 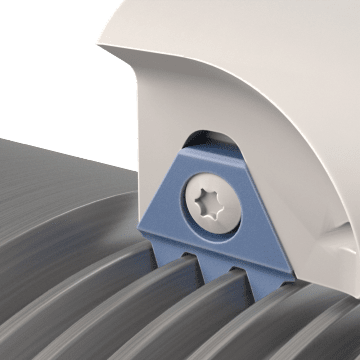 Depending on the insert, you can either replace the insert when the cutting edge is worn or rotate the insert to reveal a new edge. The inserts can be rotated or changed without disassembling the tool holder, reducing downtime. Made from solid carbide, they provide good wear resistance when machining tough materials. 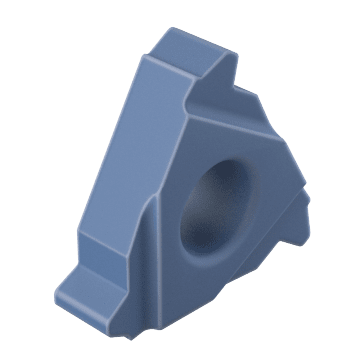 Attach these triangle-shaped inserts to a compatible tool holder to create internal or external threads on a workpiece. When one cutting edge is worn, just rotate the insert to reveal a new cutting edge. 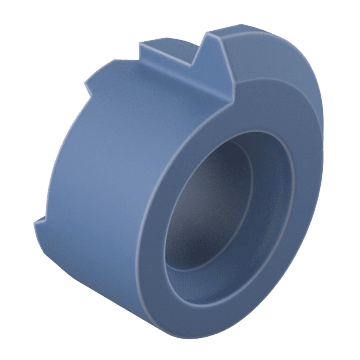 These inserts have a single sharp cutting edge and are well suited for internal threading operations.